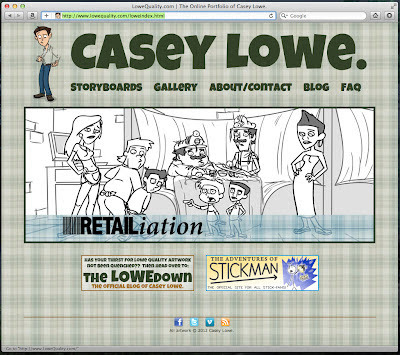 The LOWEdown | The Official Blog of Casey Lowe. : The New LoweQuality.com! With the artwork for my thesis finished, the past few weeks have been spent putting together all the deliverables for my Final Review, including an "Art of..." book of my thesis artwork and my actual portfolio. For those who are curious, my book ("The Thesis Art of Casey Lowe.") can be viewed here. In fact, you can even order yourself a copy at publication cost, in both soft and hard cover. Pretty neat. My portfolio can be viewed online via my newly revamped website, LoweQuality.com.